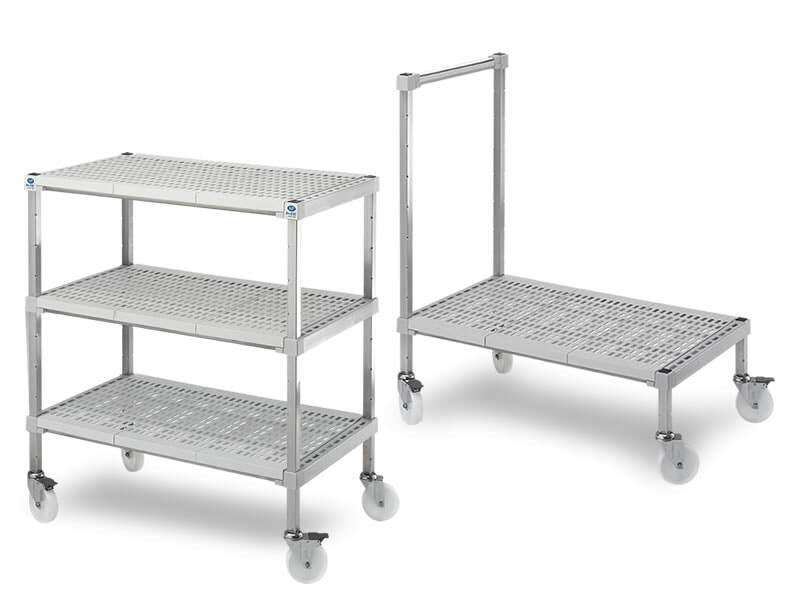 Our ECO Trolleys with stainless steel frame are available as assembly kit. The customer can choose between perforated stainless steel and polypropylene shelves and non-marking castors Ø 12,5 cm with or without brake. The ECO Trolleys comply with all HACCP requirements. The Easy Click system allows quick and tool-free mounting. The number of shelves can be chosen freely.